On 1 July a country ceases to exist, but the world does not care. The inhabitants of Norfolk Island, descendants of the legendary Bounty mutineers, are fighting a brave battle completely on their own against being swallowed up by big brother Australia. 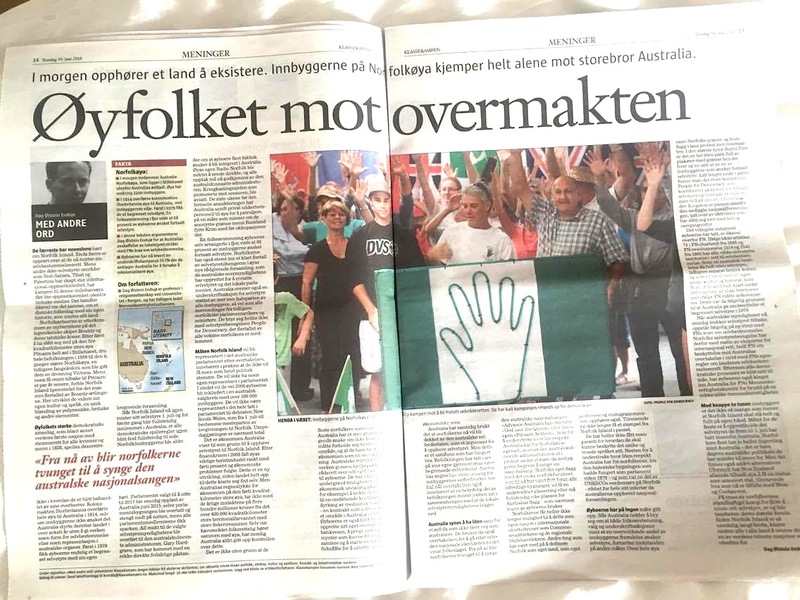 – This article was originally published in Norwegian in the newspaper Klassekampen 30 June 2016. Few have ever heard of Norfolk Island. Even fewer are upset that they now lose their self-rule. While other non-autonomous territories as Western Sahara, Tibet, and Palestine receive great attention internationally, the struggle of this small Pacific nation has generally gone unnoticed outside of British media. But this is still about the same, about a distinct country with its own history, which are losing their self-determination. The Norfolk islanders are the descendants of the mutineers on the legendary ship Bounty and their Tahitian wives. After first having settled on the four-square-kilometer island of Pitcairn way east into the Pacific, the entire population moved to the ten times larger Norfolk Island in 1856, a former penal colony that was given them by Queen Victoria. While a small number returned to Pitcairn a few years later, Norfolk Island remained home to the massive majority of Bounty descendants. Here they developed their own culture and language, a unique blend of Polynesian, British and other elements. Bounty heritage. 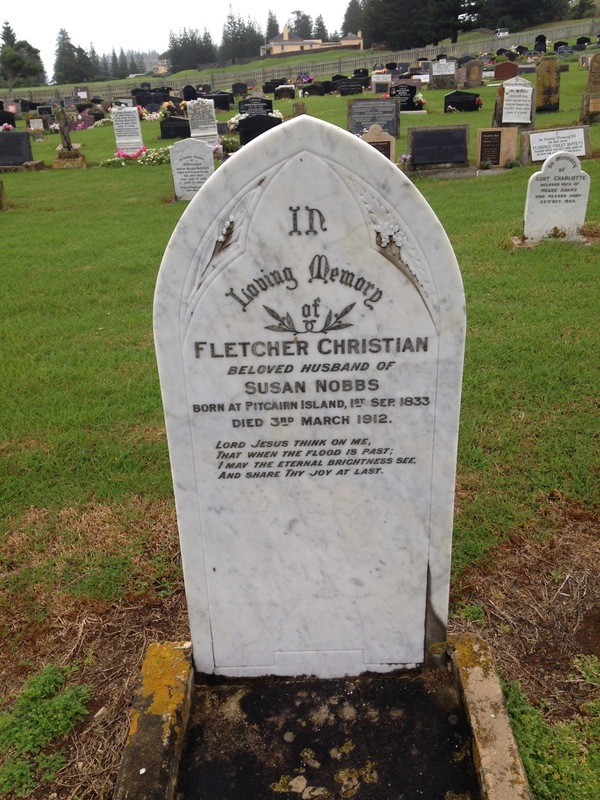 The tomb of the great-grandchild of the mutineer Fletcher Christian, born on Pitcairn in 1833, contributing to establishing the Norfolk community in 1856, died on Norfolk Island in 1912 (Photo: Dag Øistein Endsjø). The islanders have their own exceptional democratic traditions, being the world’s first nation with common suffrage in 1838 – for both men and women. This is, however, not reflected in how they are treated by their overlords. Britain, their original colonial power, transferred the whole island to Australia in 1914, against the wishes of the inhabitants. Australia then ruled the country for over sixty years without giving neither any kind of self-determination nor any representation in Australian political institutions. First in 1979 the islanders finally received a limited autonomy with its own legislature. When Norfolk Island now again loses its autonomy on 1 July and for the first time becomes completely incorporated in Australia, all democratic rules have once again been swept completely aside. The Norfolk Islanders were never heard. The Parliament elected to sit until 2017 was unilaterally dissolved by Australia in June 2015, the parliament building was taken over and closed at midnight, while all the MPs got fired. The power of the elected government were transferred to the Australian-appointed administrator, who has come with a number of outright erroneous claims about the islanders actually wanting to be integrated into Australia. The island’s own Radio Norfolk was refused to broadcast live and all programs must now be approved by the Australian administrator. When protesting against the censorship, the head of the broadcaster was deposed. The last few weeks before the formal annexation, Australia has sent private security personnel to the island to patrol, in a manner reminiscent of the anonymous green men Russia filled the Crimea with before the occupation there. A referendum in 2015 showed that 68 percent of the residents favoured continued self-rule. The Norfolk Islanders have also voted for a clear majority of autonomy supporters in the island’s new advisory council, which Australia has established to replace the self-rule and the local parliament. But Australia ignores all this, and also a petition for autonomy backed by more than half of all residents, as well as all objections from former Norfolk parliamentarians and ministers. They do not bother either about the autonomy movement People for Democracy, where the majority of adults Norfolk Islanders are members. Hands up for democracy, which Australia so crudely has swept aside. Each green hand is set up by an islander still wanting to rule their country themselves (Photo: Dag Øistein Endsjø). How Norfolk Island will be represented in the Australian political system after the takeover, means in practice that they will not have any political voice at all. They will not have their own representative in parliament. Instead, the approximately 2000 islanders will be included in an Australian constituency with over 160,000 inhabitants. They will not be represented at all in parliament for the state of New South Wales, which from 1 July will determine most of the legislation to Norfolk. Australia refers to the economy as a reason to abolish the autonomy to Norfolk Island. After the credit crunch in 2008, Norfolk Islands key tourism industry quickly fell with forty percent and the island got major financial problems. But this is a new development, as the country right up to this did fine by itself. But at the same time Australia’s calculation of the economy in the forty-square-kilometer island, does not take into account the proceeds from the more than 400.000-square-kilometer territorial waters with large fishing incomes and non-explored mineral resources. Although the economic zone according to international law belongs with the island, Australia has never given up control over this. It is not without reason that many islanders believes that Australia only uses the economy as an excuse in order to no longer having to deal with an unwanted autonomous territory – and to keep control over the immense territorial waters. Australian authorities have refused to give the islanders any stimulus package and to hand over the jurisdiction over their territorial waters. They have also repeatedly undermined other opportunities for economic development on the island, for example, by denying them to agree to an extensive contract for the cultivation of medical marijuana – a contract that instead went to an area in Australia. The islanders have also been prevented from establishing its own overseas banking service, minting its own coins which could be sold to collectors, and to establish a national fishing fleet to exploit their own economic zone. 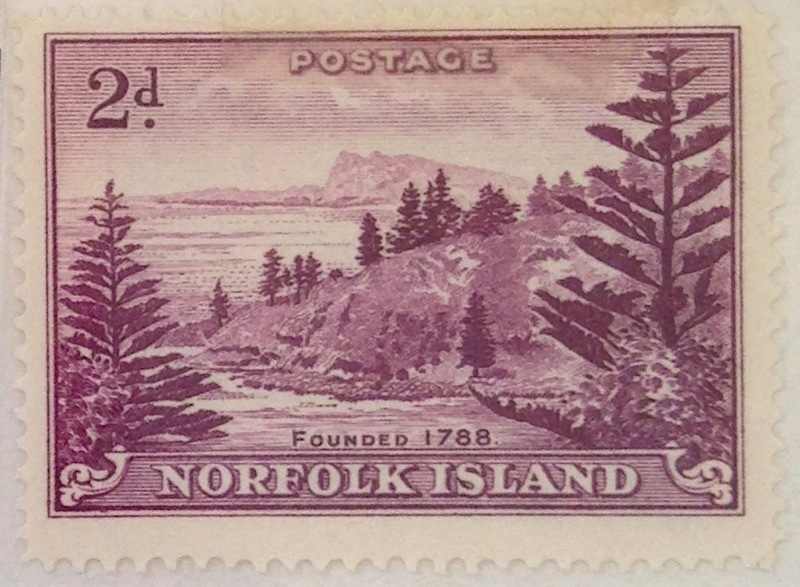 Beautiful Norfolk Island, as depicted on a post stamp. Australia has referred to that Norfolk Islanders now will be covered by the Australian welfare state as an argument to abolish autonomy. But this is a society that has functioned well by the population taking care of their own through the island’s own limited welfare system. Australia’s allegedly great concern for the islanders’ welfare also seems somewhat hollow when the takeover also means that a significant portion of the population will lose their jobs in connection with the local self-government authorities closing down. The Australian government seems to have little appreciation for a small people, who do not feel like Australians. They subsequently use the takeover to curtail the national identity of the islanders. From now on, the Norfolk Islanders will be forced to sing the Australian national anthem Advance Australia Fair, instead of God save the Queen or their own Pitcairn Anthem. As if to underline how little respect Australia holds for the Norfolk Island’s traditions, the Australian administrator walked out in protest from a meeting when the islanders began to sing their national anthem. Norfolk’s own flag with the unique Norfolk pine, which until now have been waving freely in front of all public buildings, will now have a subordinate position or must completely give way to the flag of Australia – which virtually none of the islanders fly. The Norfolk Islanders will also no longer be able to participate as a separate nation in international sports events, such as the Commonwealth Games and the regional Pacific Games. Other things that have defined Norfolk Island as a nation, like their own postal service and immigration service, also cease. Visitors will no longer get a stamp from Norfolk Island in their passport. Australia has, moreover, made no guarantees for the protection of Norfuk, the island’s unique and endangered language. Perhaps just to emphasize Australia’s lack of respect of Norfolk’s identity, the historic building that had served as parliament since 1979 – and which is part of UNESCO heritage site in Norfolk – was stripped of all its interior when Australia abolished the parliament. The islanders have nevertheless not given up. When Australia refuses to bother about the referendum, elections, and petitions, all showing that an overwhelming proportion of the inhabitants still want self-rule, the resistance continues in other ways. Across the island, Norfolk’s green and white flag flies in silent protest over power. 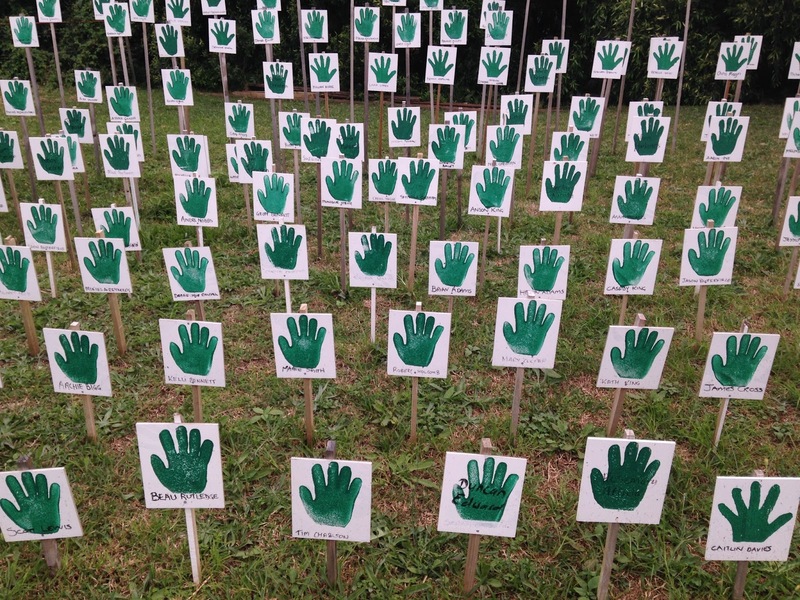 In Burnt Pine, the largest city, there is an entire small park full of placards with green hands, each one set up by one of the residents who still want autonomy. A little further down the street you will find the large office of People for Democracy, from where the action for continued autonomy coordinated and where everyone is welcome to drop by. In the capital Kingston the lawn outside the former parliament has been taken over by activists who have settled with tents and camping gear. All visitors are enthusiastically welcomed by the members of what is probably the world’s friendliest liberation movement. In daytime one is offered coffee and cakes, in the evenings salad and barbecue are served. 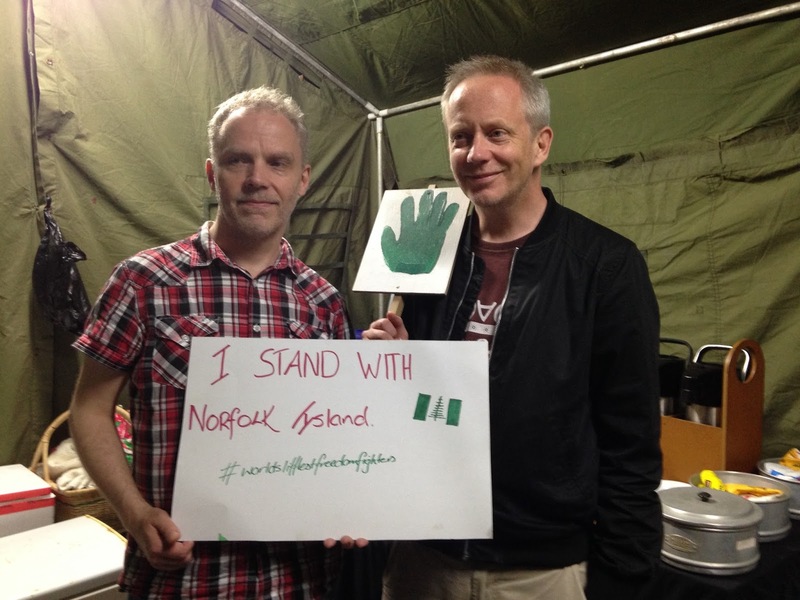 Standing with Norfolk Island. All visitors to the tent camp of #Theworldlittlestfreedomfighters are asked to show their support against the occupation. 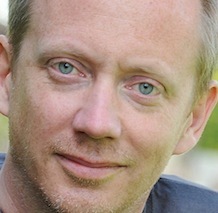 The author of the article to the right (Photo: Norfork Island People for Democracy). The most important initiative islanders have done is, nevertheless, with the United Nations. According to article 73 in the UN Charter and UN resolutions 1514 and 1541 of 1960, all “non self-governing territories” have a right to self-determination. As an Australian possession without autonomy, a previously separate British colony, and as a nation with its own unique culture and history, Norfolk Island clearly fell under the definition of such territories the UN had decolonized. This was consequently the reason for why Australia gave its possession a limited autonomy in 1979. When the Australian government now unilaterally abolishes self-rule in spite of what the majority of the Norfolk Islanders themselves want, it represents a new violation of the UN demands for self-determination. Norfolk’s autonomy movement, with the support of several experts of international law, has therefore contacted the United Nations to be protected from the Australian acquisition in violation of the UN rules on all countries’ right to self-determination. Since all democratic processes have been set aside, the islanders have also brought Australia in for the UN Human Rights Committee for the violation of various human rights. With just about two thousand inhabitants, there are not many who believe that Norfolk Island should be completely on its own. The goal of most islanders is to maintain the autonomy they previously held within Australia. Most Norfolk Islanders have nothing against Australia – it is only the current Australian politicians they have less love for. But there are also other options. New Zealand has already made an unofficial offer to the island to get a status of associated state equivalent of what is now the case with Niue and the Cook Islands. Yet in spite of the Norfolk Islanders’ steadfast struggle not to lose their self-rule, silence remains their biggest enemy. Since Norfolk Island is so infinitely far away, both the masses and authorities in all countries ignore the injustice against one of the world’s smallest nations.